Today I bought Luciana's design from Fashion Star! I am obsessed with the dress! I tried to purchase it online last night at 11pm (right when they went on sale). I stood up to grab my wallet and it was SOLD OUT in like 5 minutes! That is when you know America loves you! I went to the store, the day after (today) and bought it! I feel so relieved. Let's see what else they design and create. I am loving Luciana's designs more than Orly now. Luciana gets the structured concept and the in season colors. I like Orly because she is very creative when it comes to designing a two for one piece. Luciana's dress was only $39.95, if you buy it online you have to pay around $20.00 for shipping and handling in addition to the $39.95. Buy it at the store because you will save on the shipping and handling and on time getting it! Luciana's dress is the floral one and Orly's dress is the blue one. 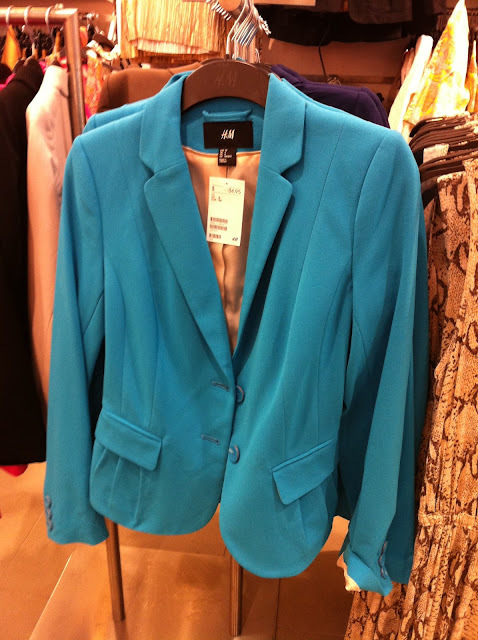 This Blazer also caught my eye and I would wear it with black or white skinny trousers. As I walked home these window displays also caught my eye. They scream SPRING! This display is from Coup De Coeur. 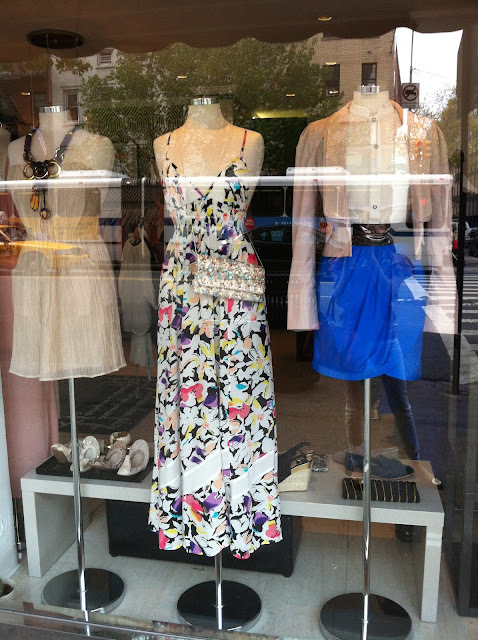 This one is from Les Nanas De Gramercy...Clothes from France. oh, god! Kelly, I saw Luciana's dress on you today! You were stunning!